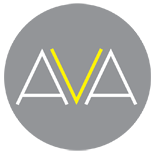 The AVA Group was incorporated in 2010 to offer the commercial construction sector specialist high quality electrical and mechanical design, installation, management and maintenance solutions within commercial, residential, education, retail, hotel, health and leisure sectors. We are based in Brighton and operate throughout Sussex, Kent, Hampshire, Surrey and London. We are committed to providing high quality, professional and reliable services tailored to suit the individual needs of our clients. All works are undertaken in accordance with our robust policies and procedures which we continually manage and monitor to ensure we deliver our projects in accordance with the latest industry regulations, standards and CDM requirements.